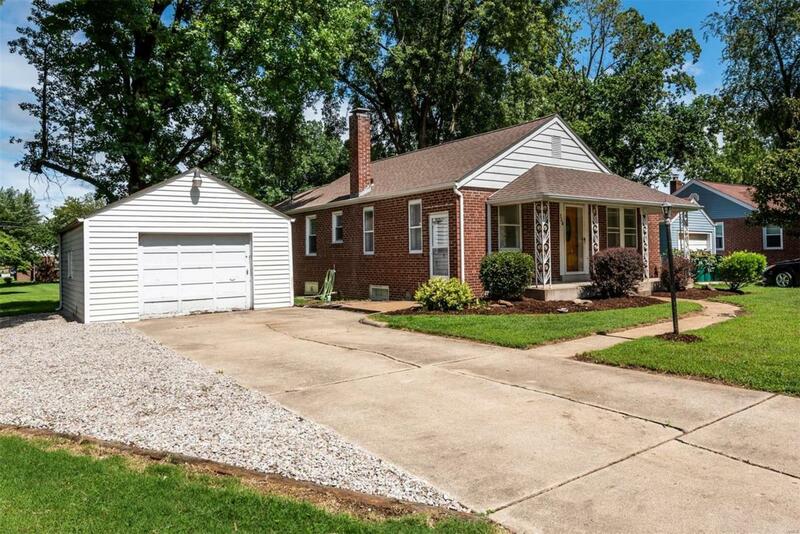 Brick combo 1 story home w/ finished basement has a lot to offer! 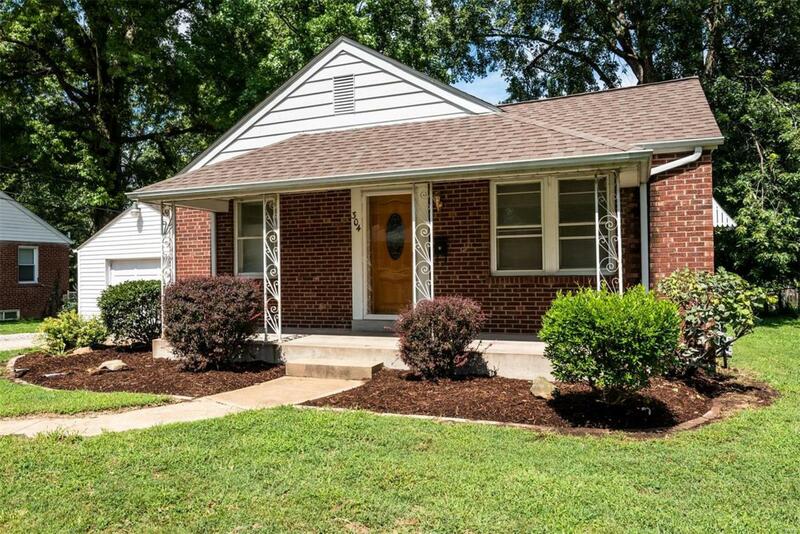 The home has wonderful curb appeal with its front brick facade & covered patio. 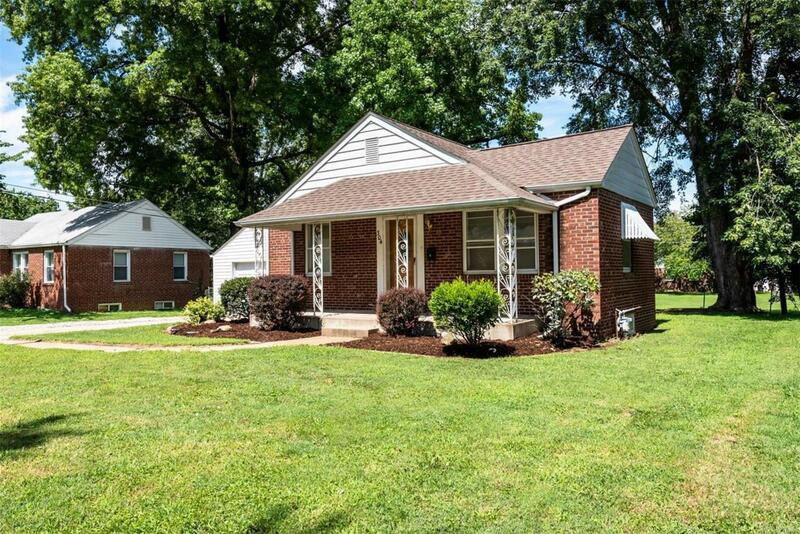 Features include: Hardwood floors throughout the entry, living room, dining room & 3 bedrooms. A master suite with a half bath & private door to the secluded back patio. Enjoy breakfast in the cozy eat in kitchen with built in cabinets & pantry. The kitchen also features a side door to the detached garage. The basement features a bonus room with two separate areas & large unfinished storage area. Ease your worries as the basement features professional installed waterproof drain system. The backyard is a park like setting & can easily be fenced. 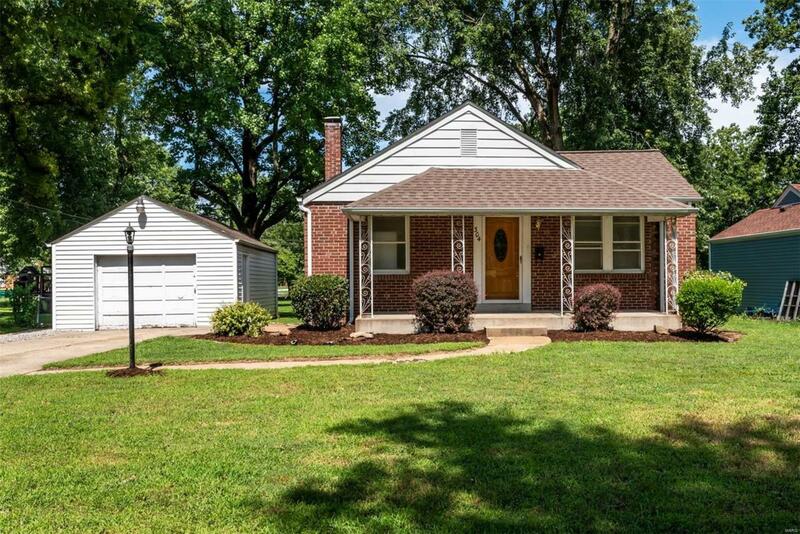 Close to I-64, Scott AFB, downtown St Louis, shopping & parks.